Parents who are interested in our school are warmly welcome to attend one of our Tours of the school. All tours take place at 10am. We will take you around the school and are more than happy to answer any questions that you may have about what the school can offer. Places on each tour are limited so please ring the school office to book a place. Please ring the school office to book a place on any of the tour dates above on 01296 483110. We ask that children do not attend these tours as they can be too lengthy for young children. All children who receive a place will be given several opportunities nearer the time to spend time in the school. Rule 1 - Children in care. 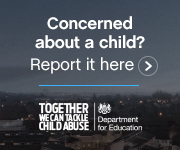 Rule 2 - Children living within the catchment area of the school. Rule 3 - For the main point of entry: Siblings of children who are attending the school or a 'linked primary' school in Year R to Year 5 at the time the allocations are made, and are expected to be on the school roll or linked school roll at the time of the proposed admission, or who have already been offered a place to start in the current academic at the school or a 'linked primary' school. Rule 4 - Children who have exceptional medical or social needs, which can be met at that school, supported by written evidence from an appropriate person. Rule 5 - Children attending a primary school linked to the school named in the list of 'linked primary' schools at the time allocations are made. (See the Directory for information on linked schools). This rule does not apply to those applying for a place in Reception. Rule 6 - Once the above rules have been applied, then any further places will be offered in distance order, using the distance between the family's Normal Home Address and the school's nearest entrance gate, offering the closest first. We use the straight line distance. A waiting list will be maintained for those children not offered a place. The order of priority being the same as the criteria for over-subscription. Bierton Church of England Combined School adheres to the Local Authorities Fair Access protocol in our Admission rules.